"I just want to tell you that it was a great experience to work with you. It sounded awesome. Brought back so many memories. Everything from the recording to the artwork was done perfectly! Thanks." 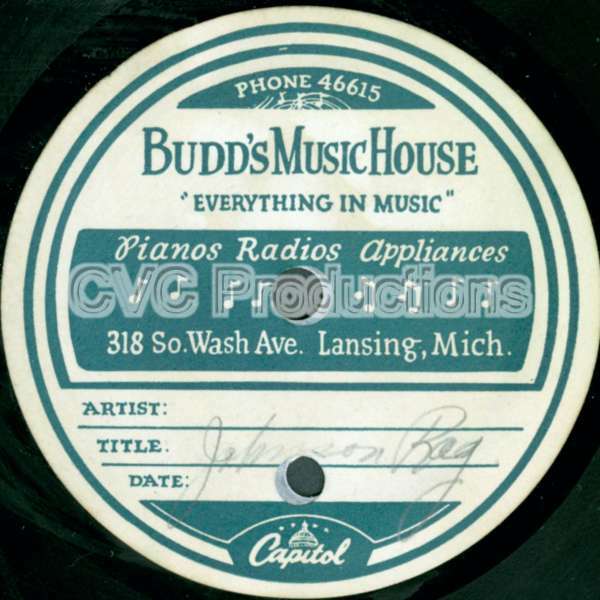 Budd's Music House is one of the Home-Made-Records (custom made records, automat machine records) we have received and processed at our studio. Do you have a similar one? When you're ready to order your transfer, here's the link: home-made-records transfers.